Vertically dropping hot tap water forms a thin film on the inner wall of the pipe. 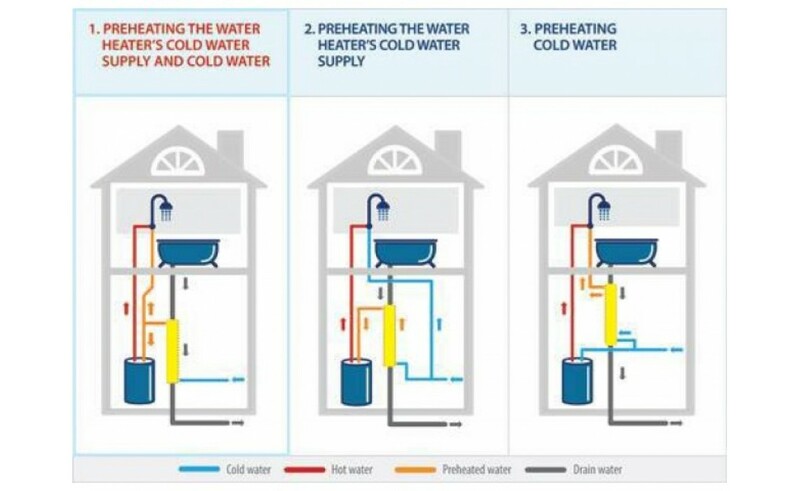 Passing heat is fed to the incoming cold water on the outside of the pipe. So we get hot, clean water and chilled out.